These S-1 Volume Knobs and Switch Caps are hand customized in our shop. The featured and most popular is what we call the Vintage '62 style that has the dark green letters and numbers. We also offer a number of alternate letter and number colors to appeal to the most unique Strat® color themes. 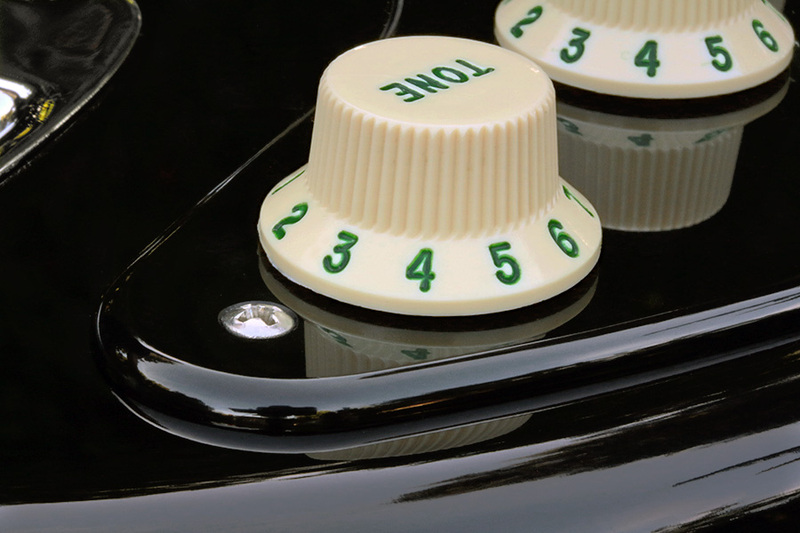 Each of these S-1 Volume Knobs and Switch Caps are Brand New, Current Production Genuine Fender® that have the original gold lettering and numbering removed and replaced with your choice of colors. S-1 Volume Knobs and Switch Caps are available in Parchment or Aged White. 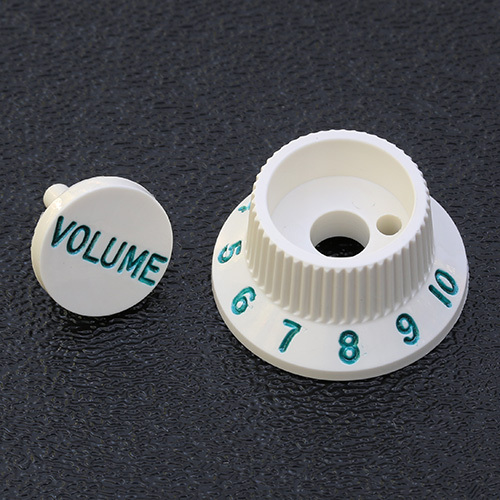 This item purchase includes one customized S-1 Volume Knob and one customized S-1 Switch Cap as depicted to the right. This item purchase DOES NOT include the Tone control knobs, those matching customized knob sets would need to be purchased separately with item VTTC. Give us up to 5 days to customize this S-1 knob and switch cap for you. Shown above is a Parchment S-1 Volume Knob and Switch Cap customized with the Teal letters and numbers.